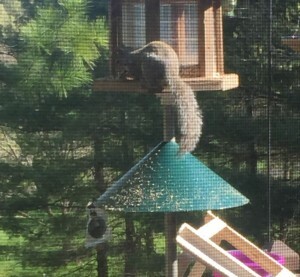 Good luck keeping squirrels off your bird feeders! My wife Karla prefers an obstacle course to keep the squirrels confused. They are clever! As are most rodents that seem to blossom in population once the sun and warm weather show up. I have mentioned before my ongoing battle with the moles and voles that are trying to take over our yard. I also get a census of the population outside by the variety of critters our cat "Stanley" carts into our house alive and well for fun and games with his brother. The rodent population is cute but often damaging and my reason to mention them here is their tendency to carry disease. Their population explodes about now. It is the rare house pet that has not had an encounter with a mouse or some small rodent repeatedly in their life. As owners you may not be aware of the ubiquitous nature of these little creatures. Even if you are not seeing them your pet is investigating the smell of their urine and feces in the yard. Rodents are famous for helping to transmit disease. Fortunately the Bubonic Plague is not my concern here. Interestingly enough that disease does still exist in western states primarily limited to wild Prairie Dog colonies. It is the same bacteria and the flea is still is involved in transmission but it has been renamed Sylvatic Plague. Not our problem here. Leptospirosis is however alive and well in the wild animal population of this area and is commonly carried by rodents. Any mammal can become infected but cats are very resistant and rarely get sick from this bacteria. Dogs are another story. It can be a deadly disease in the dog. So serious that we actually have a vaccine for its prevention. It is included in our Parvo/Distemper yearly vaccine and many owners do not realize their pet has been vaccinated for this widespread disease. Not all vaccines contain this additional protection for Leptospirosis or Lepto in short. Our 3 offices always include it in a canine vaccination program. We treat this disease but generally in pets vaccinated elsewhere. Our vaccine works but must be repeated at least once a year. In high risk environments sometimes more often. 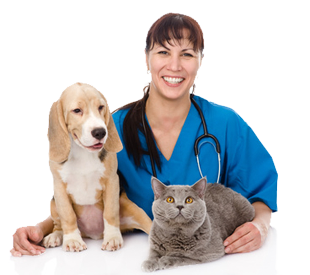 It is part of our routine preventive health program at Underwood Animal Hospital and Twenty First Street Vet Clinic. Please do not let me distract you from the most important preventive health vaccinations! For puppies it is always PARVO, PARVO,PARVO! Parvovirus is the most serious disease in the first year of a dogs life and kills many. One dose does not make a pup immune! A puppy series of vaccines is necessary for complete protection. 6,9,12,and 15 weeks of age are a standard schedule. No puppy we have given a complete vaccine series has ever died from parvovirus. The series must be complete is the important point. "He had his shot" is a common statement that means nothing regarding that puppies ability to survive a parvovirus infection. The same regimen is important for kittens. 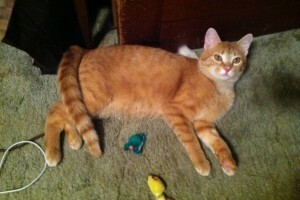 Waiting to give vaccines when a pet is neutered or spayed is a huge mistake. Many of these viral diseases have already entered their system by then. Kittens can be vaccinated against Herpes snotty nose and eye disease but it has to be early before the become exposed. Like any mammalian herpesvirus once it is in the system it is there for life! Last but not least all pets need to be kept current on their Rabies vaccination. It is not a good idea it is the law. Most of our wildlife contact occurs in the warm weather months. Our bat population in Ohio is the endemic carrier of Rabies virus EVERY year even when no other mammals test positive. Here is Roodie my self appointed coonhound at my house. We had to literally pry up a board on our deck recently because he cornered a raccoon so far beneath the deck he was stuck there. Time to make sure you have not left your pet in the car with Windows up. Temperatures change fast this time of year. We also offer Grooming Services for your pet. Click on our Facebook page to post your comments and pictures.